This month we want to share with you a very exciting new chapter of our lives and our work in Israel which is opening up now. It started some 13 years ago when God laid on our heart the absolute necessity of a Messianic Jewish Bible Training Center for Israelis. The reasons were quite obvious even then in 1975. 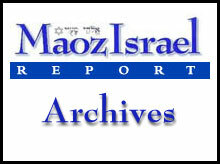 The facts were that there were very few believers in the land, and there were only a handful of born-again Sabras (native-born Israelis) in the entire country. On the other hand, the Bible promises -- in a way that is unique to Israel -- that there is going to be a great and mighty revival in this land. Romans 11:26 says, "And so all Israel shall be saved". Whatever this scripture may mean, certainly a great number of Jews are going to be saved. The general timing is also specified over and over in the Bible. The time of the salvation of Israel would be simultaneous with the return of the Jews to their homeland. And...bring you into the land which your fathers possessed...Moreover the Lord your God will circumcise your heart...to love the Lord your God with all your heart... (Deuteronomy 30: 1, 2, 3, 5, 6). The people who have been without land and without God would again claim their inheritance -- both physical and spiritual. Our God is a God who restores the whole man to His whole inheritance. 3) The Jews have been and are returning to their ancient home in Israel. What was our conclusion? That a mighty revival was about to be poured out on Israel, and it could start at any time. How could we best prepare the believers now existing to be ready to participate in this massive harvest? In fact, we must add, the harvest is already ripening. The obvious answer is to train leadership, and this is best done in the intensive framework of a Bible school. The people of Israel, upon whom this revival will fall are a very interesting and multifaceted nation divided into various subcultures. Of the Sabras or native born Israelis who come to the Lord, 65% are of Sephardic background, which means their roots (family) come from one of the Arab countries, such as Iraq, Syria, Saudi Arabia, Turkey, Iran, or from North Africa. Though their families were usually traditionally observant of orthodox Jewish customs, most know nothing about Yeshua or the New Testament. Many of the parents do not read or write. The younger generation of course is literate, but generally much less religious than their parents, and they tend to be acquainted with only the sections of the Bible taught in school as history. This includes parts of the Torah and the historical books of the Kings of Israel. The Sephardic Jews bring to Israel some of the most beautiful qualities of life -- many of which are disappearing in the Western World -- such as a joy and zest for life, human warmth and hospitality that every believer in the world could and should emulate. Their sense of family responsibility and community bring great richness to their lives, as they care for their elderly and very young as extensions of their immediate families. However, they also carry the "baggage" of rejection and despair because of being treated many times as a "minority" group by the European and Western Israelis who may have come from a more educated or developed country. Sephardic Jews are even referred to as "the second Israel". Rejection causes many complications in the healthy growth of any human personality, as one can see with minority groups in Western countries. Yeshua has come to set us all free from the damages brought on by sin and hurts. But it takes the Word of God, and a dedicated group of skilled and patient laborers who are full of faith to see results in these lives. Ashkenazi Jews (including East and West European), on the other hand, have a different set of needs when they come to faith in the Messiah of Israel. They also have learned basic Old Testament in Israeli schools. But the vast majority come from atheistic homes, who do not believe in God, much less Yeshua the Messiah. Why? The Holocaust. The Ashkenazi reasons that the Holocaust could not have taken place if there were a God. How could a God who says in the Bible that He loves Israel, let 6,000,000 Jews be wiped out in the ovens of Hitler? Of course, there is a clear cut answer in the Bible. However, that answer cannot be given to a crushed and broken spirit, unless God Himself opens the heart of the inquirer to the real answer. The younger generation of Ashkenazi Jews then, are the sons and daughters of survivors of the Holocaust or of parents who escaped to Israel before Hitler caught them. They have been reared in an atmosphere of secularism and humanism. Man, they say, is the only answer to the world's problems. As Jews from Ashkenazi background come to faith in Yeshua the Messiah, they too must be healed of their wounds that they have inherited from their families' struggle to survive the monster of genocide. Along with humanism in Israel has come a catastrophic deterioration of moral values, especially those to do with marriage and family structure. Moreover, they must be healed of the lies and distortions they have been taught about Yeshua. For unlike their counterpart, the Sephardic Israeli who knows nothing about the New Testament, the Ashkenazi knows "a lot". But what he knows has been taught to him through generations of Jews who have been persecuted, hated, spat upon, discriminated against - and even killed by people who called themselves followers of Yeshua. An Ashkenazi Israeli then must be trained in the Bible to answer the questions of shocked and outraged parents or relatives who "cannot believe" that their son/daughter/relative has come to love That Man. They need to be ready to answer Rabbis who may be sent to persuade them to leave their new faith in Yeshua. Another group of Israelis who would be attending a Messianic Yeshiva are the immigrant Jewish believers who were born physically and spiritually outside of Israel. Many come from congregations in the U.S. or Canada, and also from Britain and Europe. They are a cross section of the Body in the West. Some are very strong in their faith, and within a short time are of great service to the Kingdom of God. Others come with many problems and needs, which must be taken care of before they can really be a light and blessing to this land. Also, we have born again immigrants from Communist countries such as Romania and Russia, a good percentage of whom found God in their native countries. The newest group of believers to the land are those from Ethiopia. Again many were saved in Ethiopia. Most immigrants need training in understanding God's plan for the Jewish people in Israel, especially in these last days. These immigrants have the tremendous "mountain" of learning the Hebrew language, not to mention assimilation and aculturation to the Middle Eastern ways of the Israeli people before they can really be effective as a part of the Body of Yeshua the Messiah in the Land. A Yeshiva, a Bible school for Jewish believers, then would be of a great benefit to quickly bring these immigrants into a Jewish understanding of the Scriptures so that they might be a light in Israel and bear much fruit. Moreover, such a school would be a mighty vehicle to raise up strong leadership among the Sabras who are now coming to the Lord in ever increasing numbers and who have a great thirst for the Word of God. One other category of believers which could be greatly helped by a Yeshiva in Israel are gentile Christians who have a love and burden for Israel, and who wish to have a deeper understanding of the people of Israel, and of God's plan for this people. English Yeshiva programs of two or three months, especially designed for such Christians (and integrated with field trips), would enable them to go back to North America and spread the word of what God is doing in Israel. What a tremendous need there is for such knowledge in the Body of the Messiah, as Israel's enemies get more vicious and vocal. And today the doctrine of "the Church replaces Israel" theology is finding receptive hearts among Christians who do not understand the plan of God for the people and the land of Israel, as taught clearly and repeatedly in the Bible. Lastly, born again, North American Jewish believers who are thinking of moving to Israel, could "try Israel out" at an Israeli Messianic Yeshiva for a number of weeks while receiving orientation and teaching in the land of their calling. We, Ari and Shira, even before our marriage in 1977, spoke together of our vision of founding a Yeshiva in Israel. For how else could leadership be trained for the task ahead as the revival begins to "heat up"? But God does not always bring a vision to pass immediately after revealing it, as all of us know. And so, in 1977, as soon as we were married, we began to establish, instead, a Messianic Jewish Congregation. Congregations are what make up the Body of the Messiah throughout the world. It is where new spiritual babies are born and where they can grow in a stable community atmosphere with other local believers. It is where the nitty-gritty of serving each other and submitting to each other is developed. It is where a person can bring his friends and neighbors to hear the Good News of God's plan of reconciliation to mankind. Planting an indigenous, Hebrew-speaking, Israeli congregation from the beginning in Israel was tough going to say the least. It took several years of blood, sweat and tears, and seeming failures before the congregation took root. And then it happened. God drew together a group of Israelis, including both newly arrived immigrants who already knew the Lord and newly saved Sabras who already knew the Middle Eastern culture, and we became a growing congregation. For a long period, we lacked able leadership to work alongside us, and we learned the ways of a pioneer - which is just another name for jack-of-all-trades: preacher, teacher, counselor, friend, taxi driver, janitor, contractor, repairman, etc. But then God, in His graciousness brought us two families with a heart for the sheep of the kehilah (congregation) who have been gifted with maturity and wisdom. Furthermore, He has given us three fine shamashim (deacons), one of which is a Sabra, who has a gift to evangelize and disciple. In the last two months, approximately twenty Israelis have come to the Lord in our Congregation (this is only the beginning) and almost all of them are Sabras. It is time for the Yeshiva to open. We need leadership, and we need it fast -- especially Hebrew-speaking leadership! Let us now go back to November 1986. We were giving a weekend seminar on Israel at the Glaubencentrum Bible School in Northern Germany. People had come from allover the country and also from Switzerland and Austria. On the last day, the leader of the Bible School, Bob Humburg, stood up and began to speak about our need for a Yeshiva in Israel. He spoke with fervor for about 20 minutes and then took up an offering among the German people which came to a couple thousand German marks. Anyway, we were very thankful for the encouragement of Bob Humburg's words and the unexpected offering for our Yeshiva, which was then put into a savings account. After the meeting, a German gentleman came up to us and said, "While Bob was speaking, I saw a vision of some buildings which I believe is your Yeshiva." We asked him to describe what he saw and he did. Two days later, we arrived back in Israel. When some of our members picked us up at the airport, we were amazed to hear one of them say, "I believe I have found an ideal place for the Yeshiva." He then named a place in Israel. We went to look at it. What can we say? It looked like what the German brother had described. However, obviously prophesy must be proven. Whether or not this is the place, we do not know. We do know that we need a Yeshiva. So we began to pray seriously from that time on, that God would bring it to pass. The basic challenge of course is that just to begin a Yeshiva which could house up to 200 students, it would cost about $2,000,000 in Israel. Furthermore, in this nation there are no loans available whatsoever, for the financing of such buildings. So although we have been convinced for the last two years that it is time to build the Yeshiva, we cannot begin without a very large sum of money. To the natural mind, this is an insurmountable goal! But this nation needs a Yeshiva. God needs a Yeshiva. So if we look to him and if our ways are pure before Him, He will bring it to pass. Already several pastors and leaders in the U.S., upon seeing the possibilities awaiting us here, have offered to help us raise the funds. With our congregation established, in the hands of good and trusted leadership, we believe it is time for us to come to the U.S. for one year, to raise the funds for this Yeshiva. Shira will stay in Dallas with the children and Ari will travel throughout the U.S. and Canada to watch God bring into existence His plan. Ari will return to Israel for two weeks every two months in order to work on the many other projects we are involved in, in Israel. We digress a moment. A number of years ago, when Ari began to pray for the sick and see dramatic results, the Lord allowed us to be tested in our own home, to see if God's healing works for our family too -- or Just for others! Some six years ago, we realized that our boy was having problems in kindergarten. A couple of years later he was diagnosed as having a learning disability, and at the end of the third grade, was already a couple of years behind his classmates, especially in reading and writing. This year we prayed and sought God, and took the Kingdom by force, and our boy has received a remarkable healing. One teacher who tested him last year and then again this year, said there has been "radical improvement". The boy has had a mighty touch from God, and he is and will be a testimony wherever he goes. Now that he is able to read and write, he must catch up to where his age level is. He is going into fifth grade and the schools in Israel are not able to give him any special help with 38-40 students per class, and one teacher only. So all things work together for good!...We will be able to give our son special education for a year in the U.S. to bring him up to his grade level. We rejoice in God, and how he does all things well. When we return to Israel next June, we believe that we will go back to establish a Yeshiva that can serve the needs for training leadership nationwide. We need your help in a greater way than ever before. All of our expenditures and ministry outreaches will stay exactly the same in Israel or even be expanding. For example we just moved our offices out of the Maoz congregational building so that the children of the congregation will have their own rooms in which to meet. We, in turn, rented office space while the congregation continues to receive use of the building rent free. All of their other expenses are so great, that they are not able to pay rent. Indeed, this year is a year of expansion like we have never experienced. We want you to be a part of this new thrust. Your faithfulness in working with us month by month will be tremendously significant to this work! If your congregation would like to have Ari come to speak of the challenges and opportunities in taking part in Israel's day of salvation, please write or phone us. It is a new day!